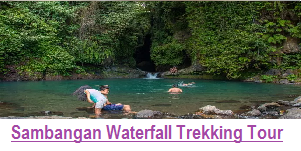 Sekumpul Waterfall Trekking Tour package is one of Nature Bali Full day tour, here you will explore the Hidden Village in north of Bali, The most amazing hidden Waterfall ” Combination of 7 waterfalls”, and visit Baliage village ” Traditional Village where mostly original Balinese people stay” here you will see a Balinese old Bamboo House plus the processing how to make a Brown sugar by traditional way, also we will take you to the local seafood restaurant for lunch here you will taste a traditional seafood from of village or If you just take the regular Package we will serve you with Traditional Lunch Box ( Indonesian Food ). 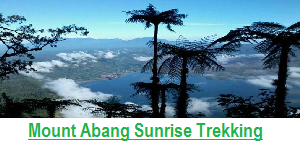 What we can see during Sekumpul Waterfall Trek ? 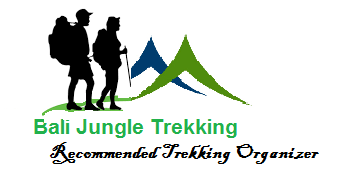 In this Trekking tours you will passed through several local peoples houses, Temple, History Monument, Beautiful rice field and you will see so many fruit trees around the village. It turns out that people around this area do like to grow trees. That will impressed you. There are Durian and rambutan trees everywhere. After walking around for five minutes, we were able to see several waterfalls from a distance. Beautiful! It probably seven waterfalls in total around this area. You will cross a river and trek through the jungle a tiny bit, before we finally arrived at the base of the twin waterfall. you can swimming and playing around the base of the twin waterfall. 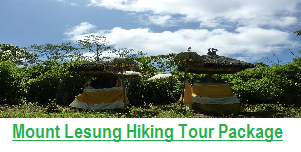 08.30 to 09.00 am – We arrive at trekking point and start the Trek – Firstly we will walking thru the Clove Plantation, Cacao , plus some local fruit plantation, Visiting old unique temple, Visiting Old Monument, then before we arrive at the waterfall where we can swimming we will continue walking thru the rice field. 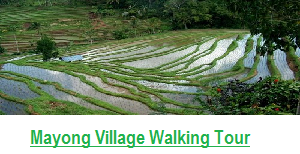 08.30 to 09.00 am – Firstly we will walking thru the Clove Plantation, Cacao , plus some local fruit plantation, Visiting old unique temple, Visiting Old Monument, then before we arrive at the waterfall where we can swimming we will continue walking thru the rice field. We also will prepare Local Food for lunch + Fresh coconut water for refreshment. 13.00 pm – The trek finish then we will drop you back to your hotel, but if you would like to visiting some interesting places during on the way back to Hotel, we will happy to arrange it for you, just don’t forget to bring small money for entrance fee. 16.00 – Arrive back at the Hotel. 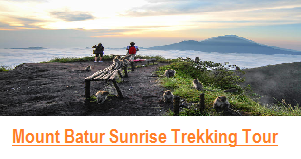 The cost for this Exclusive Package is USD$65/person( Minimum 2 persons), the cost included: Return transfer with private air conditioner car, Private Local Trekking Guide, Refreshment some local fruit during the trek, Mineral Water, entrance fee to Sekumpul waterfall, Brown Sugar, Lunch at Local see food restaurant, and donation to Baliage village. 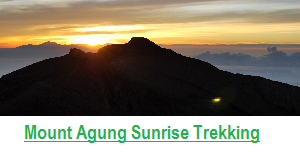 The cost for Regular Trekking tour to Sekumpul Village is USD$59/Person, Return transfer with private air conditioner car, Private Local Trekking Guide, Refreshment some local fruit during the trek, Mineral Water, entrance fee to Sekumpul waterfall, and lunch box. Note – Our service is private, we not use sharing transportation and guide, it’s will exclusive for you only, for your best experience.